Research in our laboratory is primarily directed towards understanding the cellular and molecular mechanisms of synaptic integration, synaptic plasticity, neuronal excitability and how dopamine modulates these fundamental processes. We have focused our attention on neurons and synapses in the prefrontal cortex, an area of the brain that plays an important role in working memory, planning and emotions. Prefrontal cortex is also of interest because this brain region, and its interaction with the neurotransmitter dopamine, is strongly implicated in some psychiatric diseases (e.g., schizophrenia). 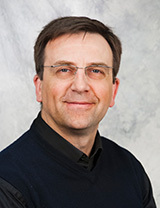 Our experimental methods include local and rapid application of neurotransmitters (glutamate and dopamine), electrophysiology (patch-clamp recordings), fast simultaneous multi-site imaging of the dendritic tree (calcium-sensitive dyes and voltage-sensitive dyes), computer simulations (NEURON), neuron tracing and immunolabeling. The cellular mechanisms underlying complex brain functions such as cognition and locomotion require monitoring of membrane voltage at the cellular, circuit, and system levels. 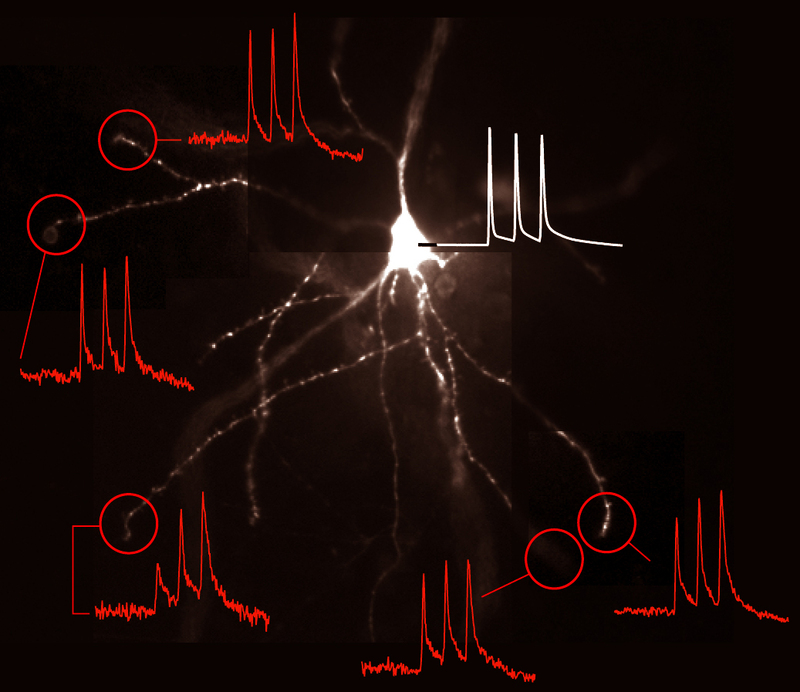 Seminal voltage-sensitive dye and calcium-sensitive dye imaging studies have demonstrated parallel detection of electrical activity across populations of interconnected neurons in a variety of preparations. The development of genetically encoded voltage indicators (GEVIs) holds a great promise for monitoring the formation and structure of neural ensembles. Compared with low-molecular-weight calcium and voltage indicators (dyes), the GEVI imaging approaches are:  cell type specific,  less invasive,  able to relate activity and anatomy, and  facilitate long-term recordings of individual cells' activities over weeks, thereby allowing direct monitoring of the emergence of learned behaviors and underlying circuit mechanisms. We explore the potential of novel approaches based on GEVIs and compare those to calcium imaging approaches. Drugs that block dopaminergic receptors have been shown to alleviate some symptoms in schizophrenia. On the other hand, drugs that stimulate dopamine receptors produce schizophrenic symptoms in healthy people. These two facts have prompted scientists to postulate that neurotransmitter dopamine is intimately related to higher psychic functions (understanding, planning, interacting with others). Several decades ago experiments in non-human primates found that optimal dopaminergic transmission is absolutely necessary for normal cognitive function (Brozoski et al., 1979). In spite of an extensive research effort that lasted for over 25 years, it is still not clear how exactly the release of dopamine affects neuronal networks and individual nerve cells. We are investigating the cellular effects of dopamine-receptor activation in the mammalian cortex. 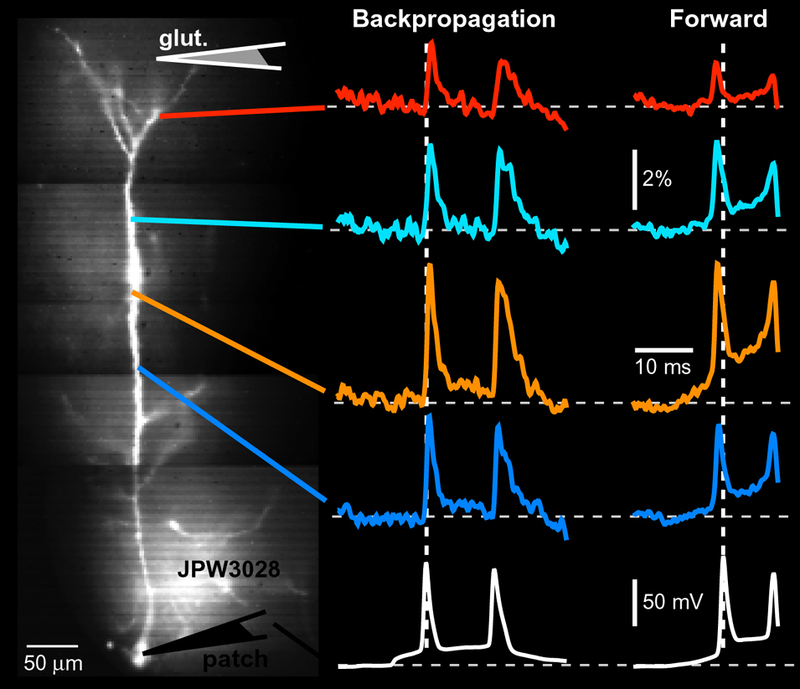 We have recently used fluorescence imaging techniques and patch-clamp recordings to analyze AP-evoked and glutamate-evoked influx of calcium ions into different parts of the pyramidal dendritic tree. We are currently measuring how dopamine receptor stimulations change dendritic calcium concentration. Calcium ions are important messengers that link electrical and biochemical processes in the central nervous system. We hope these investigations will enhance our understanding of the brain function and explain disturbances in brain function which lead to schizophrenia. Cell-replacement therapy is the most promising treatment for major neurological diseases including Parkinson’s disease and spinal cord injury. Ideally, one would like to replace the dying nerve cells with young human neurons. For this reason, the generation of viable neurons from human embryonic stem cells (hESCs) has lately become the focus of modern neurobiology and translational neuroscience. We are testing the effect of dopamine on the generation of neurons from human embryonic stem cells. More specifically, our working hypothesis states that the number and quality of dopaminergic neurons would improve in stem cell cultures treated with dopamine. Our goal is to create a stem-cell differentiation protocol that would reliably produce a large number of dopaminergic neurons, ready for use in cell-replacement therapy of Parkinson’s disease.